Seller will give you a gift certificate in the amount of 4,4 RUB for a positive review of the product purchased. You will find yourself in the Stone Age, and hence - in mortal danger. The land is completely owned by mammoths and saber-toothed tigers, and the person is somewhere in the beginning of the food chain. You are the last survivor of a group of hunters. You have to make a deadly weapon, protect yourself from wild beasts, fight against hostile tribes for the territory and prove that you are not prey, but a predator. Your character´s name is Takkar. He is the only surviving hunter from his group. In his life there is only one goal - to survive in a world where man is considered an easy prey. Honor skills and lead your tribe to prosperity. Use the help of extraordinary characters to help overcome the dangers of wildlife. Fight with the warlike tribes, ready for anything, to erase you and your friends from the face of the earth. Kill the wild beasts and defeat the enemies to prove that you are the most dangerous predator in Urus. You are the first person on Earth who will try to tame the most dangerous creatures to become the leader of the whole Urus. Tame animals that will meet you on the way, so that they help you when necessary. To begin with, try to tame the owl: it can examine the terrain from a height. Each animal has unique abilities: the wolf will always warn the owner of the danger, the saber-toothed tiger will help to get more resources, the jaguar will imperceptibly attack your enemy, and the bear will crush any obstacle. Moving on the back of an animal is much faster than walking. You can race even on a saber-toothed tiger or a bear. It´s not just a stone age. This is the stone age in the world of Far Cry - the era of real madness and unbridled power. Find enemy outposts and go into the attack, using weapons made from the bones of the animals you killed. Learn to use fire to gain tactical advantage in battles with hostile tribes or in defense from wild beasts. Pursue your prey to deal a death blow. But be careful - the smell of blood can attract other predators. In the Stone Age your arsenal of deadly weapons will become especially diverse, and your life will be threatened by the most unthinkable dangers ... in the best traditions of FarCry. The ice age is over, and the plant world on Earth is experiencing a real flowering. People and animals have all the resources necessary for life, but each species will have to defend the right to exist in a continuous struggle. Explore the primordial world of Urus with its giant trees, impenetrable thickets and treacherous swamps - find out what the Earth looked like before a person began to change it. Life in Urus literally boils, it is inhabited by many creatures: from wolves and deer to the inhabitants of militant tribes. It is also home to representatives of megafauna, such as saber-toothed tigers and woolly mammoths, are real giants, terrifying other living creatures. 2. Register a new account in Uplay or go to an existing one. 3. Click on the image "Gear" and select "Activate product". 4. Enter the activation key received after payment. 5. 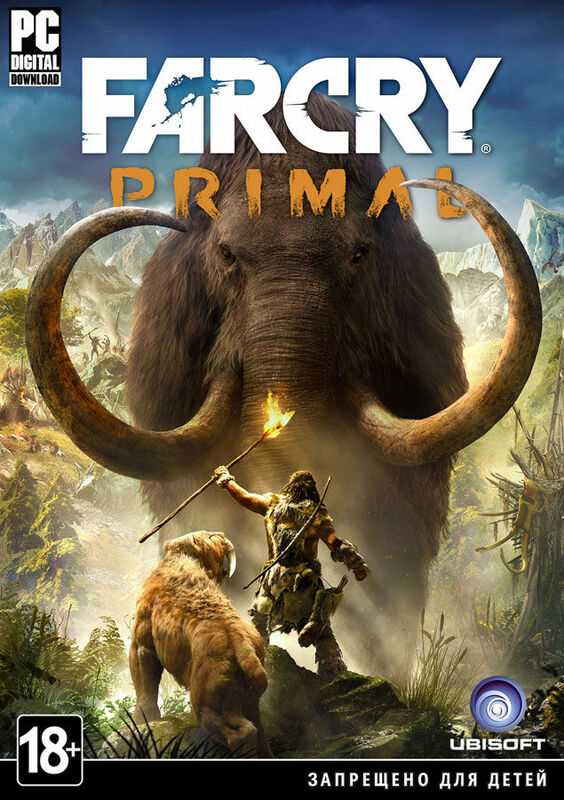 After that the game will be displayed in the games library and you will be able to download Far Cry Primal. Seller will give you a gift certificate in the amount of 4,4 RUB for a positive review of the product purchased..